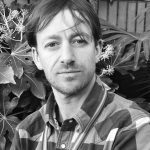 With Matt (ex BEIS Bioenergy policy maker) recently joining our team, and Duncan Brack as an associate (ex-Ministerial Special Advisor at DECC), we have an experienced team able to provide insight and consultancy advice on sustainable bioenergy sourcing of agricultural, forest and waste feedstocks. To complement our team we work with an extensive network of skilled associates providing further engineering, economics and sustainable feedstock expertise. We draw direct experience from our work in the forestry, agricultural and bioenergy policy space, including our previous role as the Central Point of Expertise on Timber (CPET) and having drafted the UK’s Woodfuel Guidance for DECC (the Government’s guidance on how to comply with the UK biomass sustainability criteria). We work alongside networks and partners to develop innovative uses of technology, including earth observation tools, to support the monitoring of sustainable feedstock cultivation, which offers sustainability and efficiency insights. We offer resource/energy use assessments and process design advice, to seek efficiencies at each stage in the supply chain, for all feedstock end uses – whether for bioenergy or non-energy uses. We are specialists in market analysis of forestry, agricultural and waste feedstocks. Combining technical data and big picture understanding, we provide market insights across economic, technological development, environmental and social impact themes. 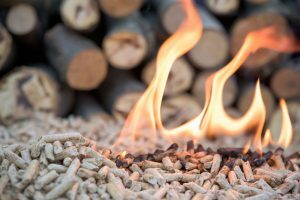 Providing guidance on compliance with UK bioenergy sustainability criteria (RO, RHI, CfD, RTFO), we assess greenhouse gas savings, mass balances or verified chains of custody. Additionally, we assess, implement and monitor compliance with sustainability schemes such as EUTR, FSC, PEFC and RSPO for companies of varying scales. We also provide feedstock technical support, as we have done for OFGEM, FSC, PEFC and RSPO. We offer supply chain risk assessment and mitigation advice, such as against potential illegal logging activity, as we have done for organisations such as the UK Timber Trade Federation and the World Resources Institute (WRI). We carry out risk and impact assessments of feedstock supply chains. On the demand side, we support public and private organisations to develop, implement and monitor sustainable procurement policies and measuring compliance as we did for the UK government’s 100% sustainable palm oil procurement policy. As experienced sustainable supply chain experts, we have experience of working collaboratively to prepare multi disciplinary studies to develop evidence and analysis to underpin strategic decisions. For more information, contact Matt.